When everything works well, your business’ website is one of the most valuable assets your business can have. It’s always there, doing the work you assign to it. And sure, you have to tweak its design occasionally, but it’s well worth the effort. That is if it’s able to attract people’s attention. Your business’ website is worth next to nothing if it has no traffic. Good design, clever copy, and awesome products are only valuable if someone is there to see them. The more people who visit your website, the more valuable it becomes. If your website is struggling to attract visitors, here are some things you might want to try. If the website is getting absolutely no traffic, you can easily see what’s wrong with it — everything. However, it’s much more likely that your website will get some traffic from one source, and very little traffic from other sources. The first thing you should do when trying to increase your website traffic is to determine which sources of traffic are underperforming. Your analytics panel is likely to help. When you see which are the main sources of traffic, it will be easy for you to focus your efforts on certain areas that are problematic. Search engine optimization is a number of techniques used to increase your website’s visibility in search results. It’s a source of what is called “organic traffic,” or traffic your website gets from people clicking on your website when it appears in search results. One of the best things you can do to improve your website’s optimization is to start a blog and fill it with high-quality content. You will have to be mindful of keywords, though, and think about targeting some long-tail keywords. Also, you will have to pay special attention to meta-descriptions. The best thing about landing pages is that you can have as many of them as you want. And it’s easy to see why you would want to have different types of landing pages. The better you are able to target your audience, the more likely they are to visit your website. You can create custom landing pages for each segment of your audience. You can also create custom landing pages for different types of products or services you offer. The idea is to serve the right type of landing page to the right person looking for the right product. Good old email marketing — it’s proving to be one of the most valuable marketing tools, year after year. Social media marketing and content marketing haven’t managed to make email marketing obsolete. It’s likely that it will stay one of the most effective ways to market products online for a long time. Email marketing can increase your website traffic. Of course, you have to approach it seriously. Each email you send out must have high-quality content if you want it to attract attention. You have to carefully plan your email marketing strategy. But if you do it well, you’ll surely see an increase in website traffic. If you’re having trouble profiting off of your business’ brand for website traffic, why not develop a brand of your own? You can position yourself as an expert or an industry leader, and draw attention to yourself. After that, redirecting the attention to your website is easy. You should think about posting guest posts if this sounds appealing to you. You can also post content on your own website, but using blogs that already have a following is much better for boosting your website traffic. For maximum effect, however, you should do both. And you’ll also be doing some good SEO while you’re at it. Engaging with your existing customers or website visitors might also be helpful. There’s nothing like good word-of-mouth when it comes to promoting your website. An effective way to create it is to be friendly and engaging with your customers. You don’t have to cyber-stalk them and jump into their conversations, but don’t run away from answering questions and reaching out when it’s appropriate. Your business’ website is the hub of all of your online business activities. Its central role makes it a critically important asset, as long as you are able to funnel in visitors. If not, you should determine what’s wrong with your website, and fix any problems that are there. 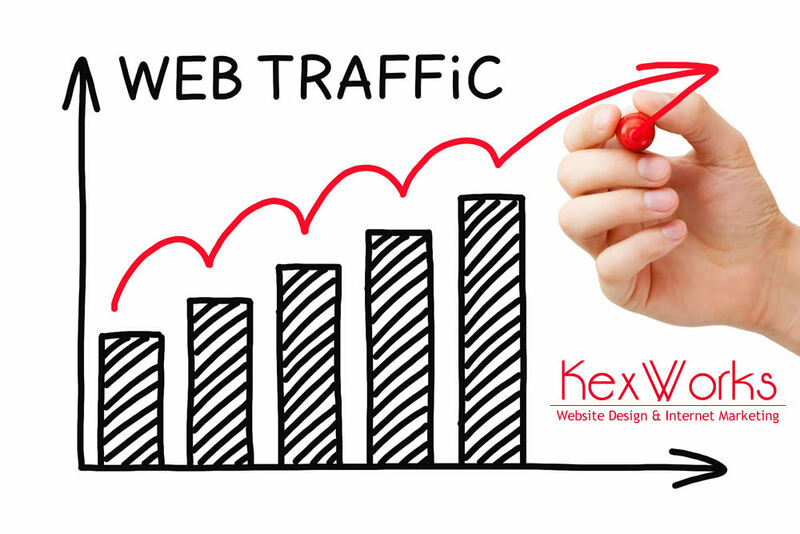 Once in a while, you should also do something new to increase your website traffic.